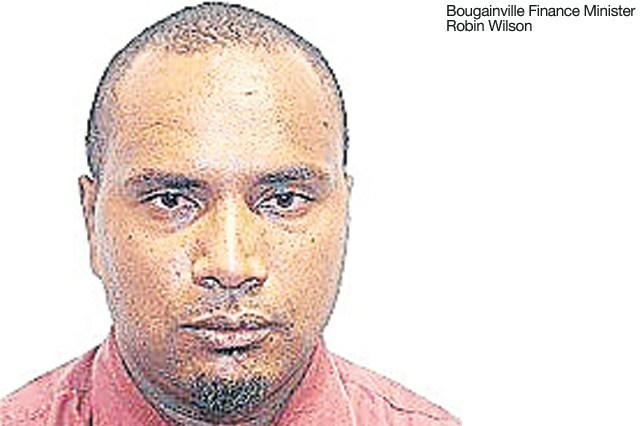 Bougainville landowners own all the resources on their land and the Bougainville government only facilitates resource development, says Bougainville Finance Minister Robin Wilson, pictured. “Unlike the rest of Papua New Guinea, landowners in Bougainville have the power to allow or disallow exploration and extraction of minerals on their land,” he said. Wilson was speaking when handing the province’s 2018 Budget of K254 million to national Treasurer Charles Able in Port Moresby yesterday. 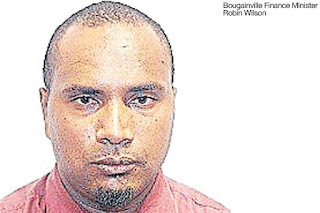 Wilson said Bougainville has lifted the ban on mining in Panguna, Mt Tore and Isinai and mining activities in those areas are now being driven by the landowners. “We introduced a law that is unique to the rest of the country where in terms of mining we have made the landowners the owners of resources,” he said. In regard to the PNG Mining Act, Able said the Act states that any resources below six feet (about 2m) under the earth belongs to the government, but the ABG has done away with that provision – only for Bougainville. Abel said the PNG government’s ownership of mining resources was to ensure that profits were equally distributed throughout the country. Meanwhile, to continue to strengthen relations between Bougainville and the Papua New Guinea government, Wilson is providing quarterly reports to the government on how money it provides is spent on Bougainville.